The Korea-Europe (EU) relationship has developed rapidly in the past decade, expanding from an almost exclusive focus on trade issues to a much broader spectrum of activities both on the bilateral and global fronts. To further facilitate networking and collaborations between materials researchers in Korea and EU, the 1st EU-Korea Workshop on Advanced Functional Materials was organized by European Materials Research Society during the 2015 E-MRS Spring Meeting in Lille, France. The 2nd EU-Korea Workshop on Advanced Functional Materials was organized by Materials Research Society – Korea during IUMRS-ICAM 2015 which was held on 25th Oct 2015 in Jeju, Korea. The 3rd EU-Korea Workshop on Advanced Materials for Energy was jointly organized by E-MRS and MRS-K during the 2016 E-MRS Fall Meeting in Warsaw, Poland. We are planning to hold the 4th Joint Workshop during the 2017 MRS-K Fall Meeting in Korea. We are seeking for scientific contributions to this Korea-EU workshop which will be held during the 2017 MRS-K Fall Meeting. We invite you to be a part of this bilateral workshop. To fit with the spirit of the event, we will announce this workshop to Korean researchers and help you find potential collaborators. 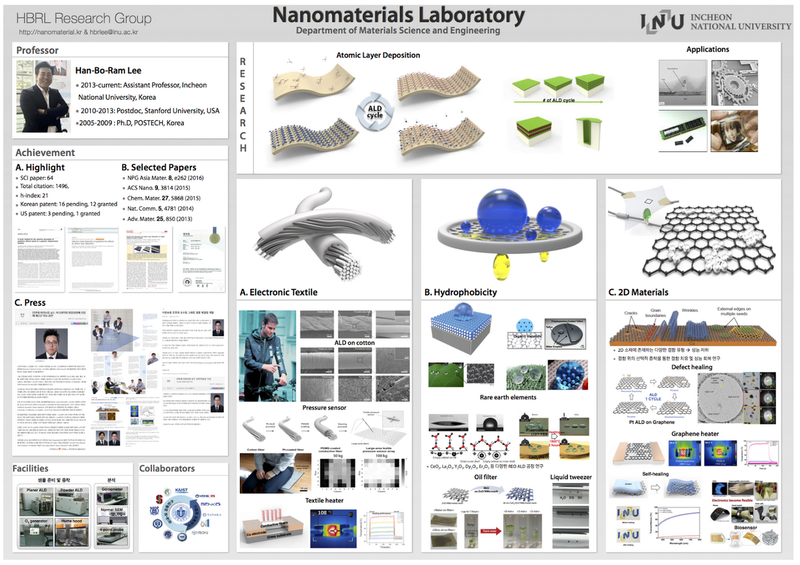 The workshop concerns any topics of Advanced Materials Processing. Call for abstracts will be open soon on the MRS-K website. Prof. Byungha Shin, Dep. Materials Science and Engineering, KAIST. Here is an opportunity fro all ALD Folks to attend and present at EMRS Fall Meeting 2017. 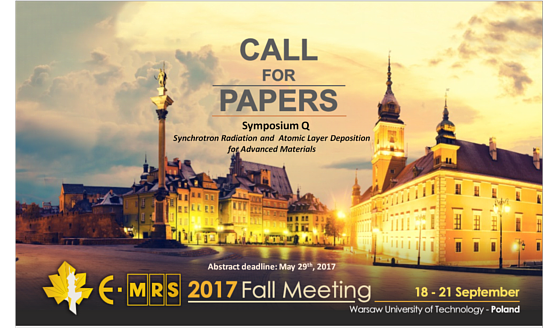 On behalf of the symposium organizers I would like to encourage you to submit an abstract to the Symposium Q: “Synchrotron Radiation and Atomic Layer Deposition for Advanced Materials” to be held from the 18th until 21st of September 2017 in Warsaw (Poland) during the E-MRS Fall Meeting 2017. Abstract submission deadline: May 29th, 2017. Please visit the symposium website at http://www.european-mrs.com/synchrotron-radiation-and-atomic-layer-deposition-advanced-materials-emrs for further information. Manuscripts submitted to the Symposium Q, after peer-review process, will be published in the Synchrotron Radiation and Atomic Layer Deposition for Advanced Materials Special Issue of the Journal of Vacuum Science & Technology A.
April 5, 2017 -- Ian Chalmers, Managing Director of Alkane Resources Ltd. (ASX: ALK | OTCQX: ANLKY), in an interview with InvestorIntel’s CEO, Tracy Weslosky discuss the new super metal hafnium. Hafnium, which is building on its nuclear energy application to absorb heat --- is now expanding into the tech and automotive sectors. 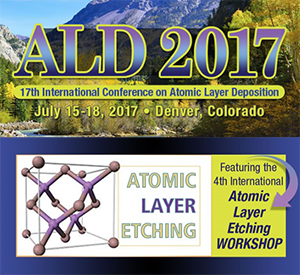 These special issues are planned in collaboration with ALD 2017 Conference and the ALE Workshop being held in Devner, Colorado, July 15-18, 2017 . The Special Issues will be dedicated to the science and technology of atomic layer controlled deposition of thin films. While a significant fraction of the articles expected are to be based on material presented at ALD 2017 and the ALE Workshop, research articles that are on ALD and ALE but not presented at this conference are also welcome: the special issue will be open to all articles on the science and technology of ALD and ALE. ESPOO, Finland, and REDCAR, United Kingdom, 25th April, 2017 – Picosun Oy, leading supplier of state-of-the-art industrial ALD (Atomic Layer Deposition) solutions launches delivery service of ALD precursor chemicals. This service is implemented in cooperation with several well-known chemical manufacturers. Picosun’s ALD business continues to expand not only in semiconductor manufacturing but in other fields of industry as well. Picosun has therefore developed a comprehensive portfolio of flexible, high-quality and cost-effective services with its industrial partners. As new processes are ramped up for large scale production, an efficient supply chain for ALD-specific services such as chemicals is vital. 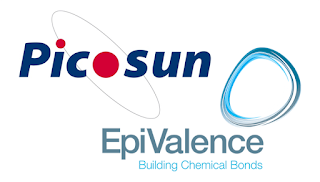 One of Picosun’s new partners is EpiValence Ltd, manufacturer of high quality specialty chemicals for electronics industries, with whom Picosun now collaborates to offer fast and smooth precursor delivery to all PICOSUN™ ALD tool users. 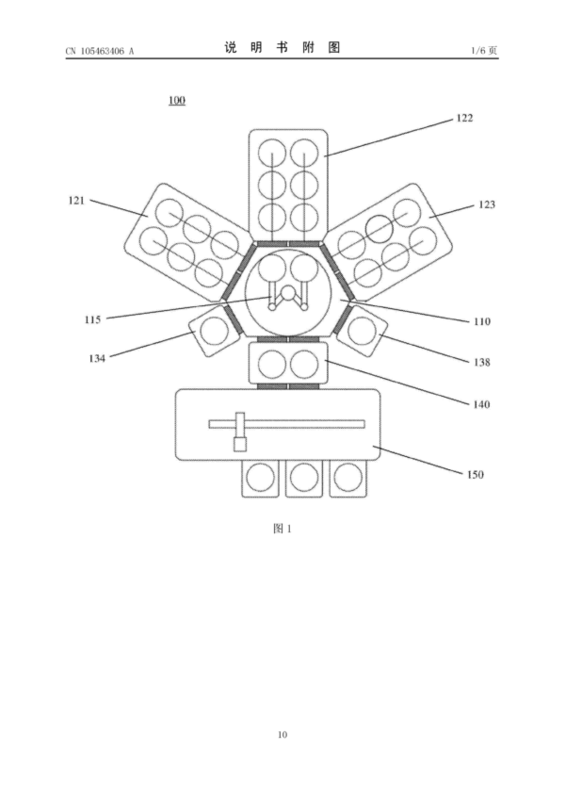 The service includes chemicals, and filling and shipping of the precursor containers to the customer site where they can be directly connected to the ALD tool. Cleaning and refill service for used containers is also available. “We at Picosun want to ensure first class customer experience by delivering all-inclusive ALD solutions, combining the equipment and processes with a full-scale service portfolio and centralized supply of all required accessories and consumables. 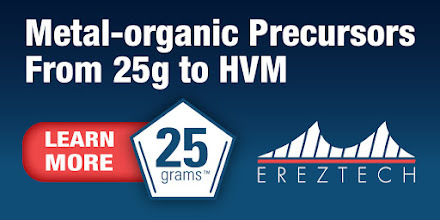 Precursor chemicals are an integral part of this supply. We are very happy to deepen our collaboration with EpiValence, who is well-known for its top-quality products targeted specifically for the microelectronics sector. Together we can deliver everything our customers need to run successful ALD production,” states Dr. Erik Østreng, Applications and Services Director of Picosun. “EpiValence is driven by offering our customers the highest quality products and an unrivalled service level. Picosun shares these values, which makes them the ideal partner for us. Together we can ensure uninterrupted supply and secure delivery of both ALD chemicals and tools to a worldwide clientele. We are delighted to join forces with Picosun to enable customers a complete and united supply chain for ALD technology,” continues Chris Richards, Commercial Director of EpiValence. The conference takes place in Linköping 11-14th of June just before all Sweden goes on Midsummer celebration. There are a few tables left in the exhibition so please hurry if you like to secure one for you company. This is a fantastic opportunity te reach out to your current and future customers in the scientific CVD & ALD community as well as top level researchers form the industry. 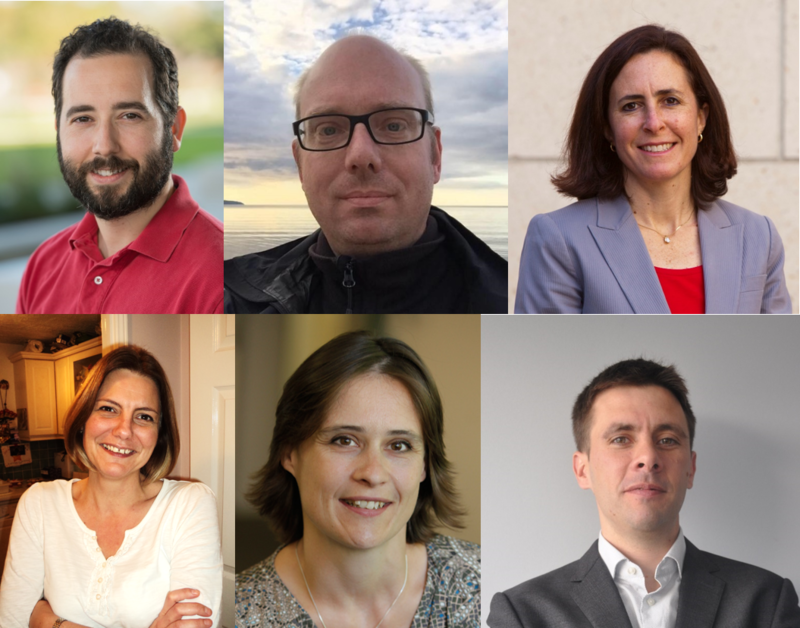 From left to right: Angel Yanguas-Gil, Martin Magnusson, Stacey Bent, Claire Carmalt, Annelies Delabie, and Nicolas Blasco. "Growth under the influence of chemistry: understanding the evolution of microstructure and the emergence of crystallinity during the early stages of growth"
"Aerotaxy: an efficient aerosol-based method for growth of device quality semiconductor nanowires"
"Topographical and area selectivity in atomic layer deposition"
"AACVD of metal oxides: from precursor synthesis to TCOs and photocatalysts"
"Nucleation mechanisms for Chemical Vapor Deposition and Atomic Layer Deposition of 2D semiconductor materials"
"Extending ALD adoption in Sub-14nm Nodes, and Beyond Semiconductors, Through Precursors Innovation"
From left to right: Simon Elliott, Francisco Zaera, Maarit Karpinnen and Gregory Girolami. "Modelling reactivity and growth in atomic layer deposition"
"The Surface Chemistry of ALD Precursors"
"ALD/MLD for novel inorganic-organic hybrid materials: and examples of potential applications"
"Conformal and superconformal film deposition by CVD: a tutorial on smart surface chemistry"
Piotech is Headquartered in Shenyang, China, and manufacture CVD equipment. Recently Piotech has also announced a ALD business segment and products for 300 mm wafer processing. The ALD tool developed by Piotechy can be used for Semiconductor and Advanced Packaging (TSV) applications. At present high and low temperature SiO2, SiN, and Al2O3 is offered that will soon expand to High-k and metal nitride ALD technology. The ALD chambers can be combined with the production capacity of the PF-300T PECVD platform. 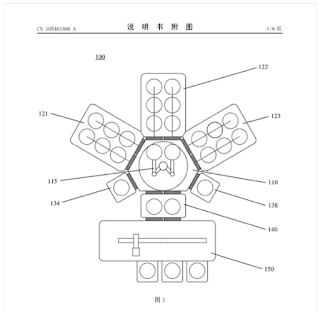 Piotech has chinese active IP [ALD (atomic layer deposition) equipment , CN204080102U] on a very interesting 6 wafer station chamber that can be clustered. By this it is clear that the company has a clear strategy to take market share in ALD since the competition in ALD for 3DNAND have 5 to 6 wafer capability (Jusung, Applied Materials & Tokyo Electron). It is not known if the 300mm ALD tool above has these type of multi wafer chambers. 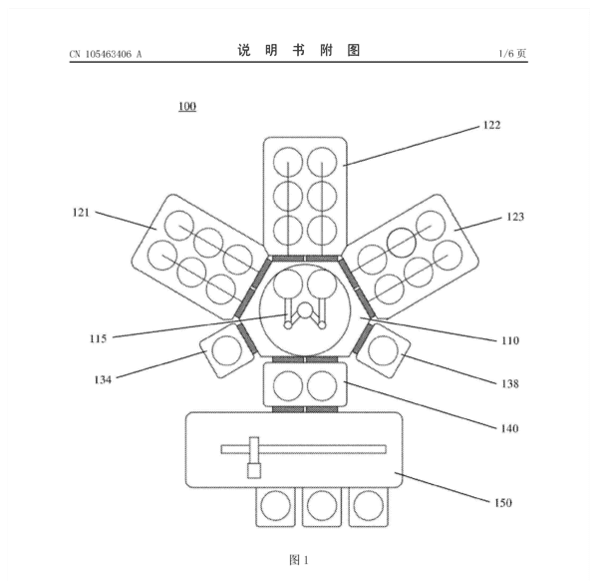 Besides ALD and Piotech AMEC is alo investing in Bejing NMC (Etch, PVD and APCVD) and Bejing Sevenstar (Furnace & Wafer Cleaning), who also have some filed IP in ALD. Beneq is using VTT´s PillarHall(TM) test chip for testing extreme ALD conformality in high aspect ratio structures and has publish a excellent report on their research in the Beneq Science Letter. Please visit PillarHall for full details on how to get involved in testing yourself! 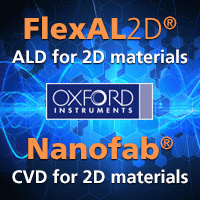 The structures requiring conformal thin films are continuously becoming more demanding. New technical solutions are needed to meet the requirements. Here the growth of ALD Al2O3 and TiO2 in ultra-high aspect ratio structures is shown with a Beneq TFS 200 ALD reactor equipped with a high aspect ratio stop-flow module. 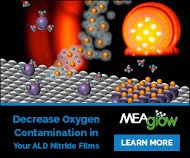 The highest achieved aspect ratios for ALD Al2O3 and TiO2 films were 1:3000 and 1:2000. PillarHall® silicon wafers and chips enable easy analysis of thin film conformality using well-defined, record-demanding microscopic 3-D structures. Typical usage areas are atomic layer deposition and chemical vapor deposition R&D. M. Mattinen, J. Hämäläinen, F. Gao, P. Jalkanen, K. Mizohata, J. Räisänen, R. L. Puurunen, M. Ritala, M. Leskelä, Langmuir 32 (2016) 10559-10569. F. Gao, S. Arpiainen, R. L. Puurunen, J. Vac. Sci. 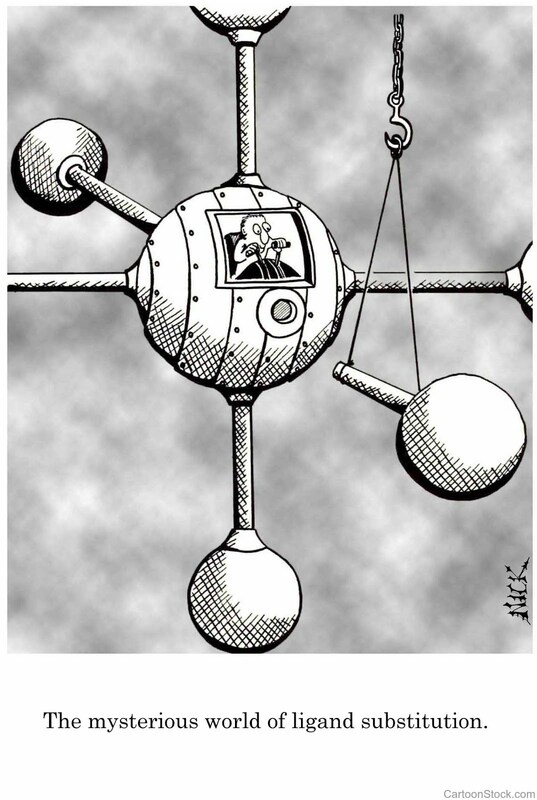 Technol. A (letter) 33 (2015) 010601 (5 pages). According to Gartner the semiconductor equipment market grew 12% in 2016. They have seen aggressive capital spending for NAND flash facilities that "propelled the Material Removal/Clean and RTP and Oxidation Diffusion segments to deliver more than 20% annual growth" (Gartner). 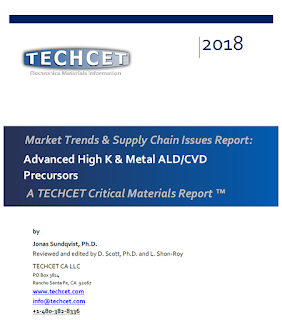 The market for Atomic Layer Deposition (ALD) contracted less sharply in 2016 than anticipated, but ASMI, however, lost more market share than expected. This was concluded by an analysts at Morgan Stanley based on figures from Gartner. 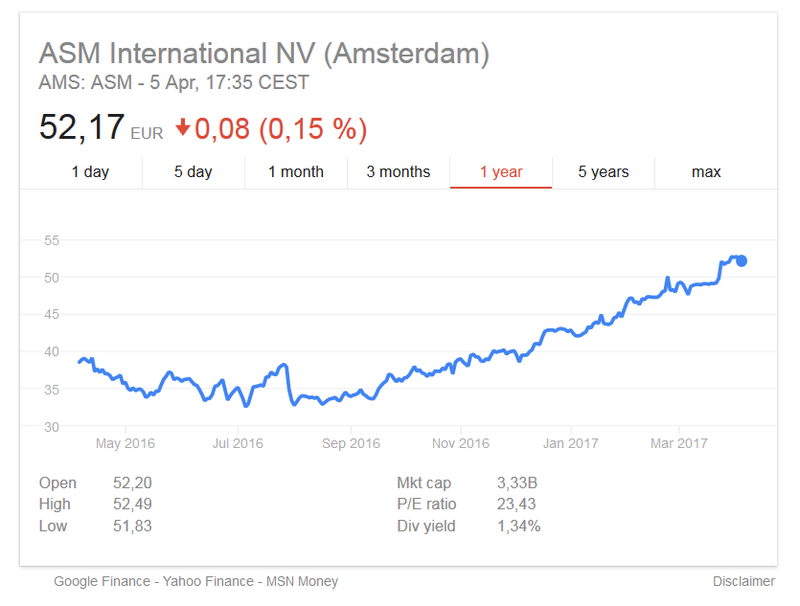 Stock market analysts watching ASM International N.V. (NASDAQ:ASMI) have recently changed their ratings on the stock following the release of the Gartner recently released report on Wafer Equipment companies. Apparently ASMI has lost considerable market shares in ALD to Jusung Engineering and Applied Materials in 2016. The two ALD batch companies Tokyo Electron and Kokusai were stabel in their ALD segment (Please note that TEL does not split their ALD business into Single/Multi wafer and Batch anymore). Also Lam Research lost market share in ALD according to reports. My take on this is that the 300 mm wafer fabricators are moving to Spatial ALD technology for multipatterning due to Cost of Ownership. I can only see it as the ASM XP8 with its 8 chambers (4 twin chambers) must have lower productivity than the multiwafer Spatial ALD tools (Jusung SPD, TEL NT333, AMAT Olympia). Also Lam Research 2x4 station platform does not seem to compete with Jusung 2x5, Applied Olymipa and TEL NT333 2x6 Wafers, which reportedly is taking market shares in low temperature SiO2 for multipatterning. Jusung was one of the early starters for SADP at Qimonda with their Spatial Cyclone+ tool running low temperature SiO2 ALD 2006 to 2009 and therefore have 10+ years of experience for this technology so that may explain their fast growth now. "After strong growth in the 2013 to 2015 period, the single-wafer ALD market went through a double-digit contraction in 2016. Weakness in memory was only partially offset by strong growth in the Logic/Foundry segment. In 2017, we expect condition to improve and the ALD market to show a clear recovery compared to last year. Longer term, we continue to expect healthy growth for ALD. We forecast the single-wafer ALD market to reach a size of $1.5 billion by the 2020-2021 timeframe. We earlier expected the market to reach the $1.5 billion level by 2019. Our updated view is mainly explained by lower expectations for the DRAM segment. Still, our updated forecast implies a solid double-digit growth path for the coming years." 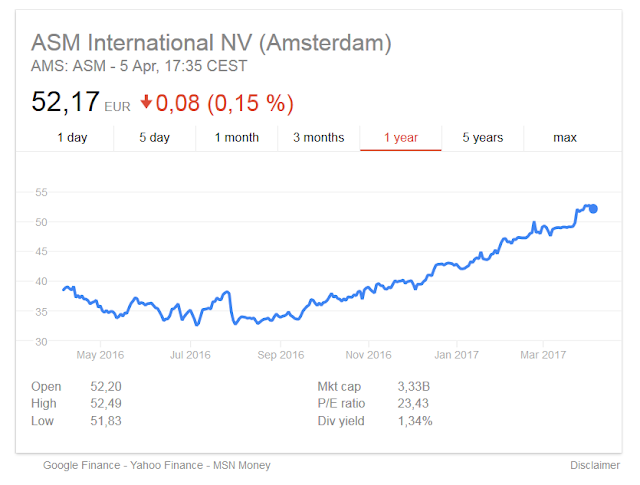 At the end of the day the ASMI Stock continue its steady high growth path going on now for more than 6 months so things are looking good for ALD and ASMI and its competitors in 2017. 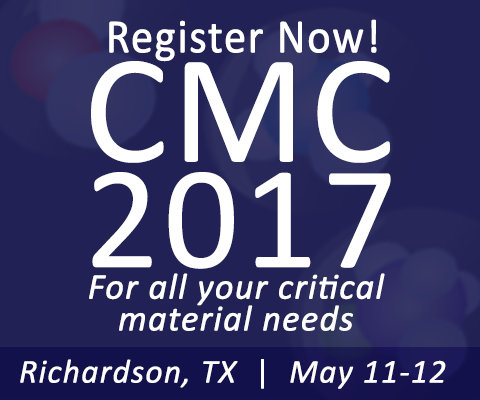 CMC2017 - Critical Materials Conference - UPDATE! 7 Days Left to Register at Earlybird Rate! "Current and Future Challenges of Materials & Manufacturing"
"Impact of Critical Material Needs on Advanced Nodes"
"Hafnium & Zirconium Raw Materials & the Global Supply-Chain"
More than 20 powerful & actionable presentations, and a highly differentiated program, with networking opportunities for all attendees. For program details click here. The Critical Materials Conference Committee seeks to provide you with information and an experience that you can use now and for future planning. The CMC Conference provides a structured framework to catalyze the flow of "actionable" technical and supply chain information related to critical materials. Themes of the Conference are centered around the needs of the Critical Materials Council and the global IC fabrication industry. While executive conferences typically focus on the "what" and "why" of materials technologies, this conference will discuss "how" new materials can be controllably, safely, and cost-effectively used in fabs. The Conference will also include market data to validate "when" materials will be needed. Attendees from fabs, OEMs, and materials suppliers alike will have the opportunity to interact with the presenters and colleagues, to gain insights into best-practices of the entire supply-chain.